The India China Institute at The New School, New York and the Centre for Policy Research, New Delhi, in collaboration with the University of Hyderabad and the East Asia Studies Departments of the University of Delhi and Jawaharlal Nehru University is all set to conduct the second part of a three-part symposium series,Third Interdisciplinary Emerging Scholars Symposium on India China Studies ,with the First part being held at China and the Third part at New York. The event invites submission for abstracts . Researchers pursuing an advanced degree in MPhil/PhD work and young scholars who received their PhDs within the last five years, to present their ongoing research. 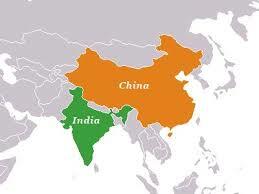 Papers with a strong analytical focus on India-China interactions, comparisons, and impact will be given preference. Advanced Master’s degree students from professional fields such as law, design, and architecture are also welcome to apply. Creative interventions from any discipline,methodology, or combination thereof that address any aspect of China’s economic,social, cultural, and political development will also be entertained. Interested candidates are invited to send a proposal not exceeding 1000 words. The proposal should clearly mention your name, current affiliation, and contact information. Selected scholars will be required to submit full-length papers not exceeding 6,000 words. Abstracts should clearly state the paper’s key research questions as well its theoretical framework. Applicants should also clearly state the paper’s overall relevance and if it is part of the applicant’s ongoing research work. Only original unpublished work will be accepted. The Call for Papers is open only to Indian citizens based in India and abroad. All abstract are to be submitted by email to [email protected] addressed to Nimmi Kurian, Associate Professor, Centre for Policy Research, New Delhi and India Representative, India China Institute, New School, New York. Domestic economy airfare within India as well as accommodation will be provided by the organisers of the event. However, International airfare will not be provided. The best Indian, Chinese, and American paper presenters will be invited to an international symposium in New York in the spring of 2014. Symposium presenters will also be invited to submit their papers for a standard blind peer review for publication in the India China Working Paper Series. All queries related to the event may be directed to Nimmi Kurian at [email protected].